A common condition that causes knee pain and activity limitation is a tear of the MENISCUS. 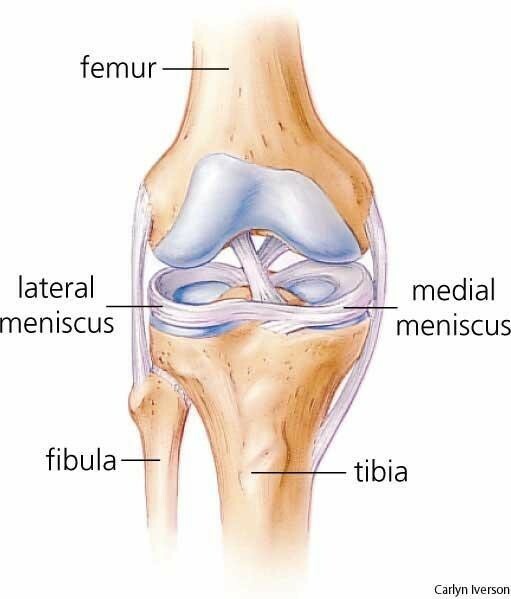 There are 2 menisci in the knee, the medial and lateral meniscus. These structures have a rubbery consistency and their function is to act as shock absorbers to the forces that cross the knee joint. Tears of the meniscus that occur as part of the aging process are called degenerative tears. 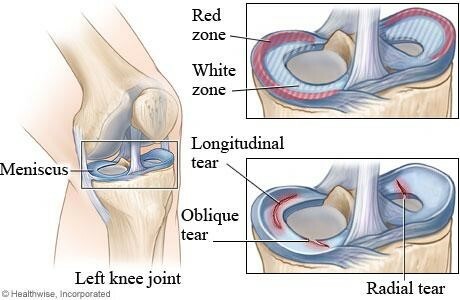 Tears of the meniscus can also occur due to injury or associated with arthritis. A physician can often make the diagnosis of a meniscus tear by taking a history and performing a physical exam. Plain x-rays are used to assess the bone structure and the degree of arthritis. An MRI is the best test to confirm the presence of a meniscus tear. Unfortunately, most meniscal tears don't have the potential heal or to be repaired. This is due to the lack of blood flow to a majority of the mensical substance. Treatment options for mensical tears are designed to relieve symptoms such as pain, locking, or giving way of the knee. Options such as rest, physical therapy, over the counter medications, and injections can be used to help. If these modalities do not give a patient satisfactory relief from the meniscus tear symptoms, often times arthroscopic knee surgery is considered. 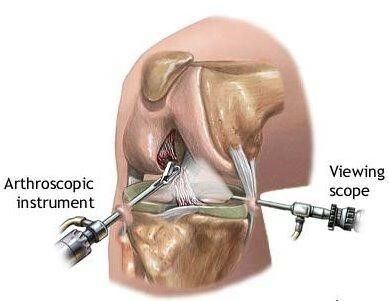 This is an outpatient surgical procedure where the meniscus tear is trimmed.